Today's In A Conversation With is Sam Squire (the founder of TheMansHandBook) who is an all things blogger, such as men's fitness, lifestyle and travel. I've been a regular reader of Sam's blog for about a year now, when I discovered him on Twitter and I've been hooked ever since. One thing that got my attention straight away was a very interesting quote on this blog and this was 'inspiring the worlds men to strive for success' and this is such an important message and it's stuck with me ever since and made such a positive impact on my work and personal life. Tells us a bit about yourself, what do you love the most about what you do? 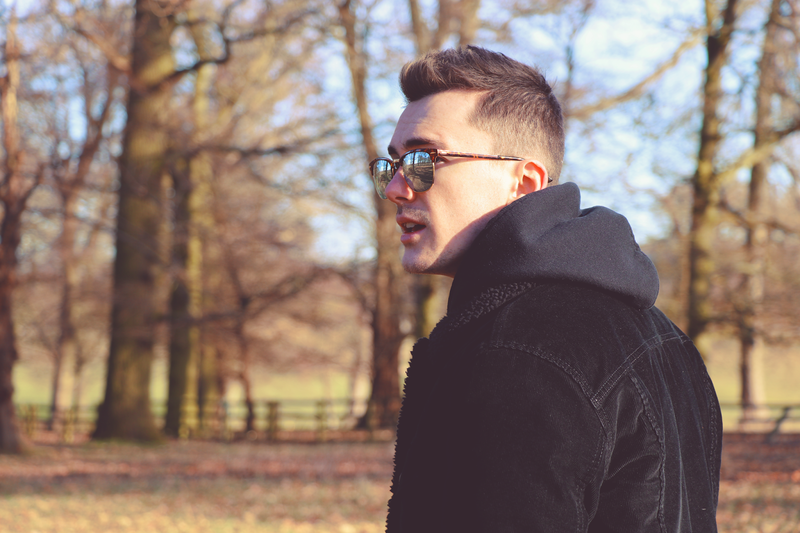 Sam: I'm a men's fashion & lifestyle content creator, I've been active for the past 5 years, creating content for my blog, social channels and magazines. I love being able to connect with people, being creative and meeting like-minded people. Sam: It's been 5 years now, for me motivation comes from wanting to be a success at anything I do. I don't necessarily want to be recognised for it, but to feel proud of what I have done and what I have achieved. I love the adrenaline and feeling from working hard on something and the point where you're ready to go live with it, I think that's what keeps me interested and wanting to produce more. What is your idea of success with your career and do you think it's hard for people to be 'successful' in the industry now, with so many people trying to do the same thing? Sam: I really think success comes from within, for me success is being happy and content with what I'm doing, as well as always learning and growing. I've reached points in my career where I have seen my numbers slowing down, and that's extremely infuriating, but then I take a deeper look and see that whilst my numbers aren't massive, I am still attracting an audience, global brands and conversions. It's really not all about numbers for me, it's about feeling happy with the content and quality that I put out there. You've had so much success, what is your biggest achievement? Sam: It sounds really sad, but to actually still be doing it after 5 years I see as an acheivement. For me to still have people following my journey, reading my content and engaging with me tells me that I must be doing something right - I didn't know what to expect when I got into the industry 5 years ago, but I definitely didn't stop and picture myself doing it years down the line. I started when I was a kid, I was 18 and in a completely different life stage to the one I am in now - to have people still engage with me after that time is really rewarding. Do you have any special plans or anything exciting, which you can tell us more about? Sam: I am working on a couple of really cool things at the moment. One of them is absoloutly going to change the game and hasn't yet been done - you'll just have to wait and see! And finally, what are your goals for the future (if you have any) and where would you like your career to go in 5 years time? Sam: I'll be hitting 30 in 5 years and likely ready to retire... but seriously for me the next 5 years are all about keeping doing what I'm doing, continuing to create content that people enjoy and can relate to is really important to me. I really want to venture into some more meaningful content as well as documenting my travels a bit more!